It’s great if you’re able to buy products that support local industry, right? I mean, what’s not to like about that? If you have an option to buy something made, often with pride, in your own country, why not do it? Here in America, stuff made here often is marked with some kind of sticker with a flag and a reminder that it’s Made in USA. 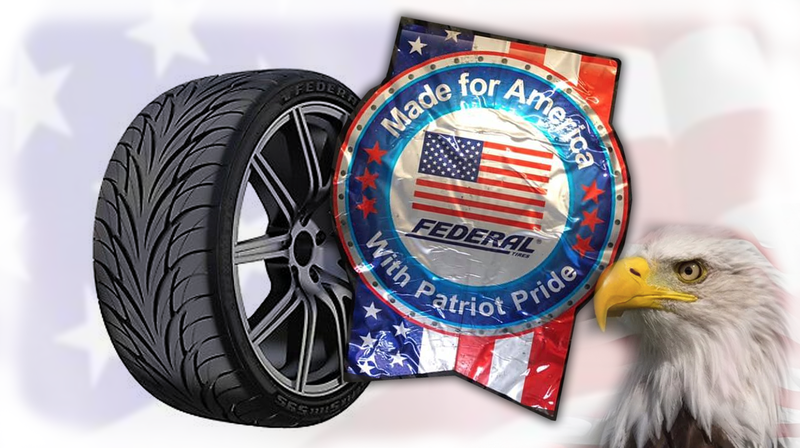 A sticker much like the one on these Federal-brand tires! Well, sorta. Because they’re Taiwanese. Which, is, of course, just fine, but that sticker sure seems like it’s trying to suggest something else. This is a cheap move, designed to disingenuously prey on Americans’ desire to buy American. Even that name, Federal, sure sounds American, right? We use that word in all kinds of things here, from our investigation bureaus to our offenses. Made for America. What a load of crap. What I’m really wondering now is if Federal does this for other global markets? Are there any Made for Britain or France or Micronesia or Andorra stickers out there? Or are we just the biggest suckers for this kind of thing?